Thomas à Kempis was born in the village of Kempen (Kempis) near Düsseldorf, Germany. He wrote four booklets between 1420 and 1427; they were collected and named after the title of the first booklet: The Imitation of Christ. Living in the shadow of constant European wars and repeated bouts of the Black Plague, Thomas à Kempis is especially known for composing this manual of spiritual advice (The Imitation of Christ) in which he urges the reader to seek and follow the example of Jesus Christ and be conformed in all things to His will. For Thomas à Kempis, the highest virtue, from which all other virtues stem is humility. Thomas bids all to let go of the illusion of superiority. 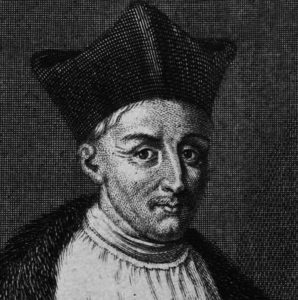 The spiritual groundwork Thomas à Kempis laid is one of the reasons why the Netherlands, as well as most of Western Europe, so eagerly embraced the Reformation and provided fertile soil for the Gospel. Together with the Confessions of Augustine and John Bunyan’s Pilgrim’s Progress, The Imitation of Christ occupies top rank among manuals of Christian devotion. Protestants and Catholics alike join in appreciating it. John Bunyan was born at Harrowden, England. A Christian writer and preacher, he wrote The Pilgrim’s Progress in 1678, arguably the most famous published Christian allegory. It is regarded as one of the most significant works of religious English literature. It has been translated into more than 200 languages and has never been out of print. 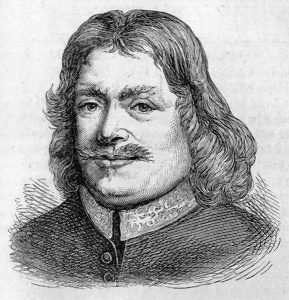 John Bunyan began his work while in the Bedfordshire county prison for violations of the Conventicle Act, which prohibited the holding of religious services outside the auspices of the established Church of England.